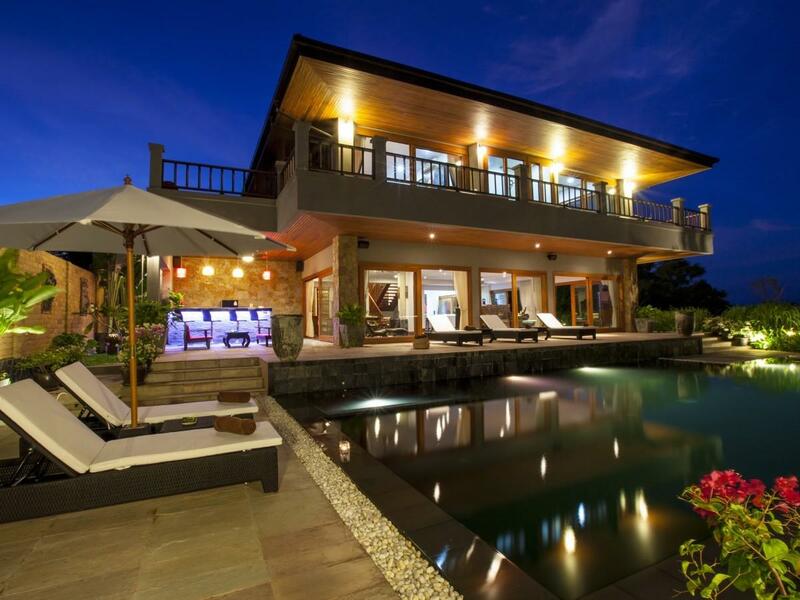 This impressive 3-story vacation property is a holiday residence not to miss. 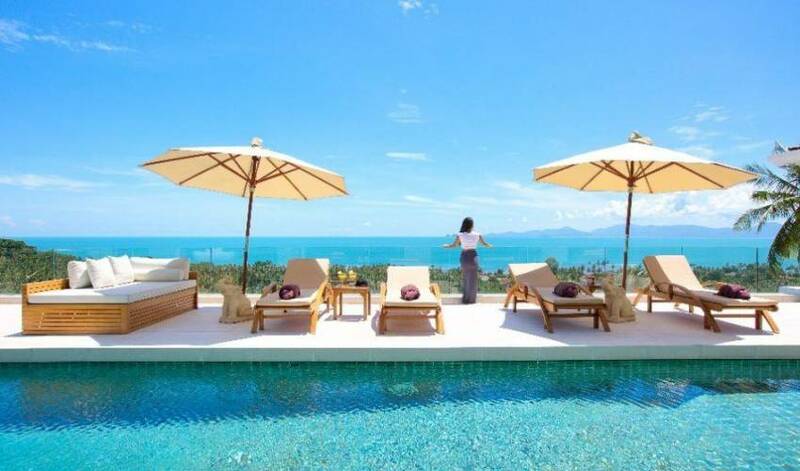 Set amongst its tropical surrounding, with a unforgettable open-planned living style, this 4 bedroom villa has been designed to encourage guests to relax, and unwind the stresses of everyday life on the North Side of this beautiful Samui Island, in the heart of the Gulf of Thailand. 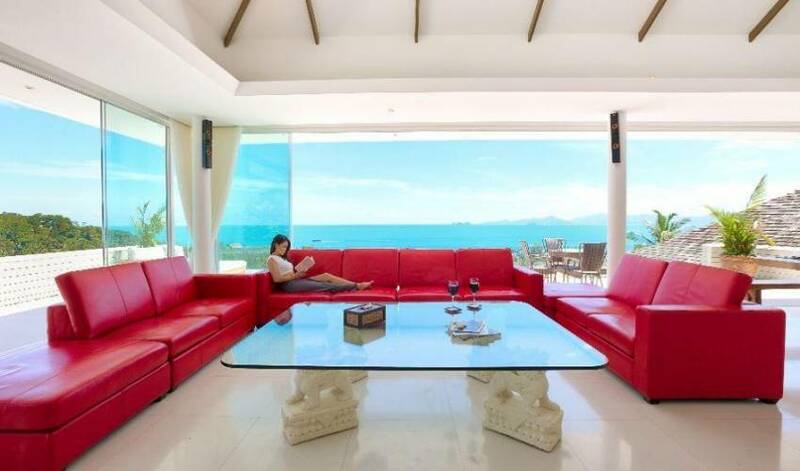 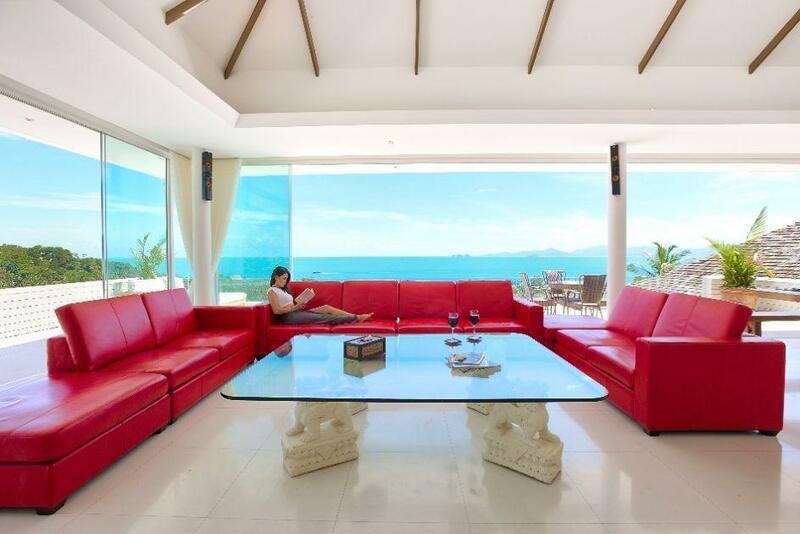 This spacious appointed villa commands spectacular panoramic ocean-views across the island, northward to Koh Phangan and the famous Ang-Thong Marine Park. 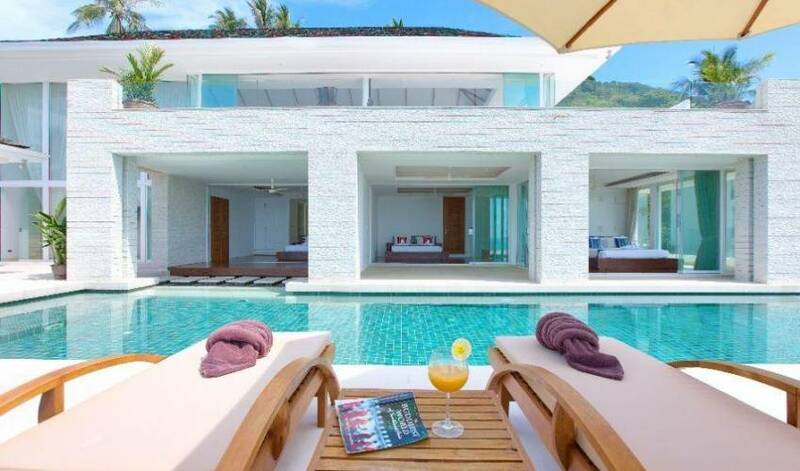 As soon as you enter Villa 4540, guests will taken back by the stunning open-planned design which draws on contemporary and traditional influences, with frameless windows and doors, providing the illusion of seamless fusion between inside and out. 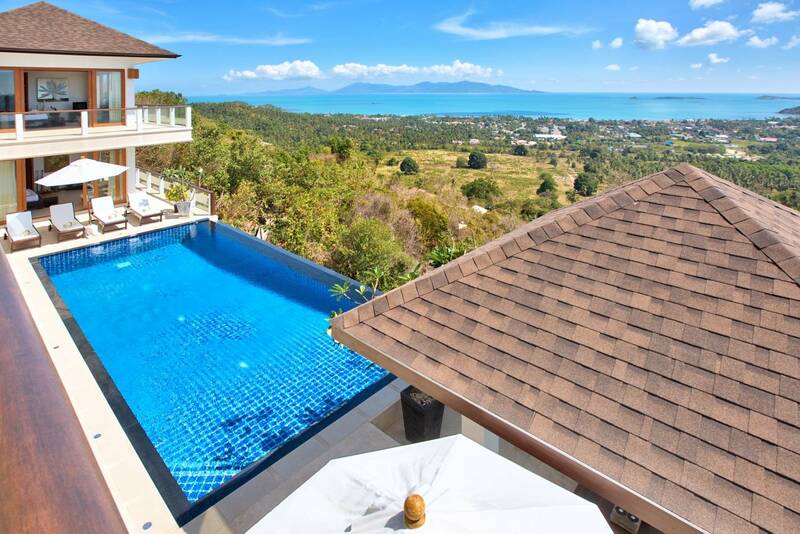 View out from the top floor to find one of the villas main features: an impressive 16m natural-stone infinity-edged pool with panoramic ocean-views; a swimming pool any hotel would be proud of. 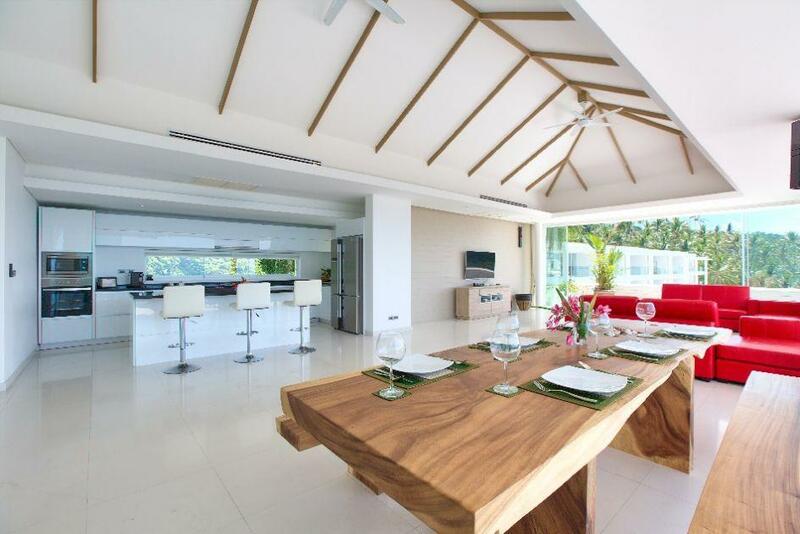 This stand-out feature with ample deck space, is surrounded by the 4 spacious en-suite bedrooms all of which proudly provide the perfect views from the bedside. 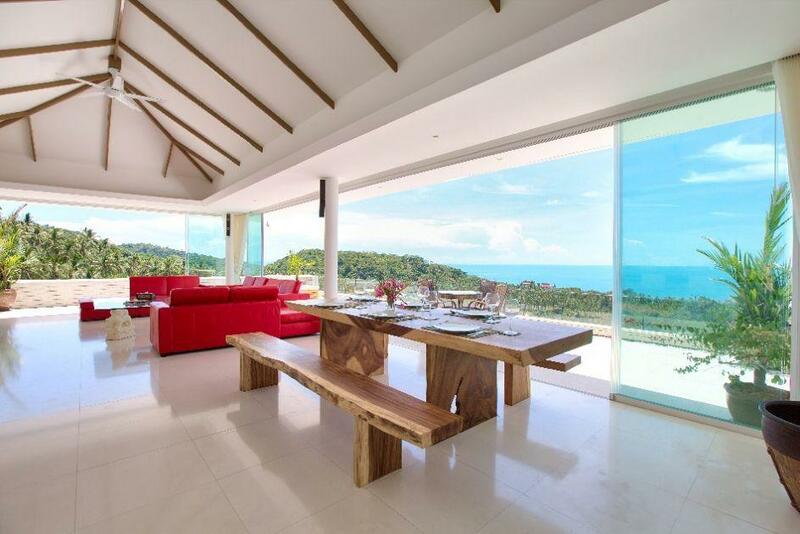 The stunning living area boasts high timber vaulted ceilings, large dining area with an abundance of space for all. 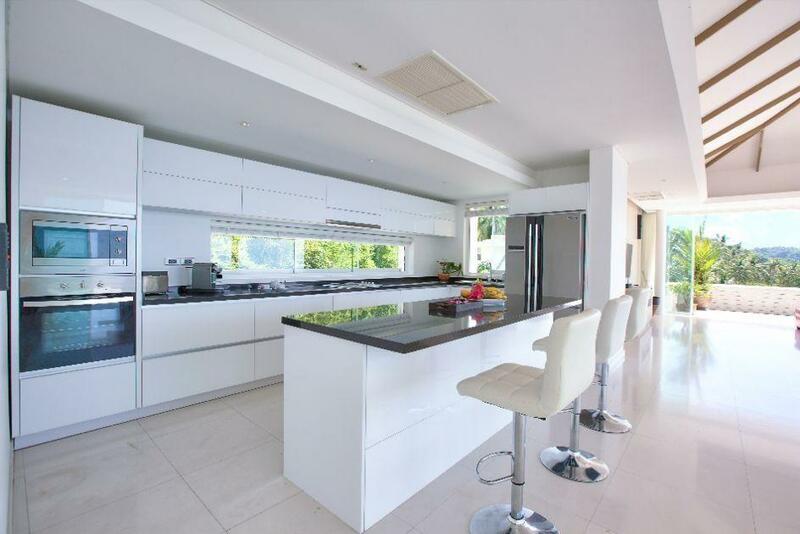 At the heart of the home is the when well appointed modern kitchen with all of the amenities you could wish for. 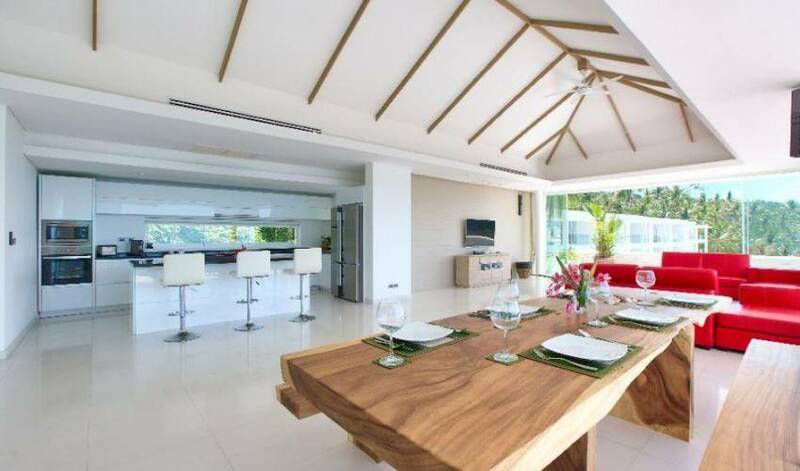 Guests have the opportunity to try the amazing dishes from our very own private chef. 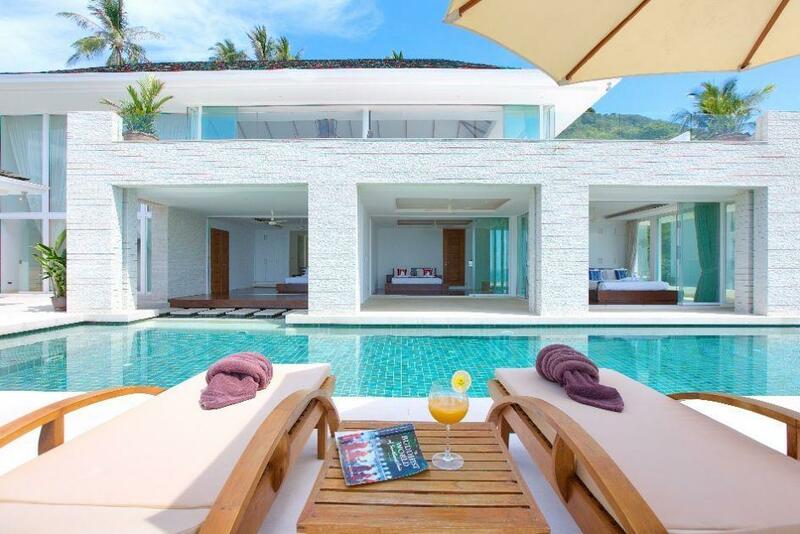 Enter the lower floor via the unique spiral staircase, the villa offers private fitness gym, steam room and natural stone infinity pool. 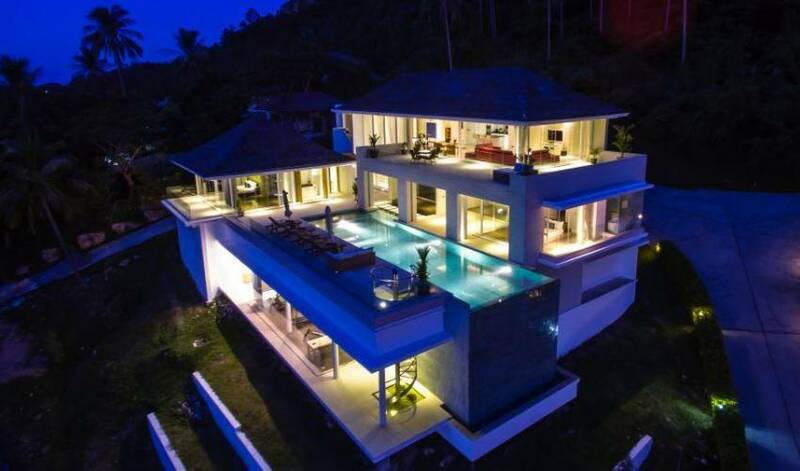 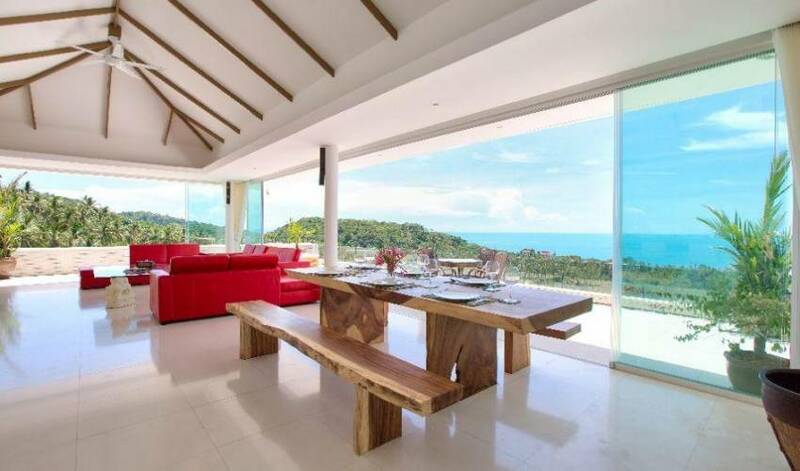 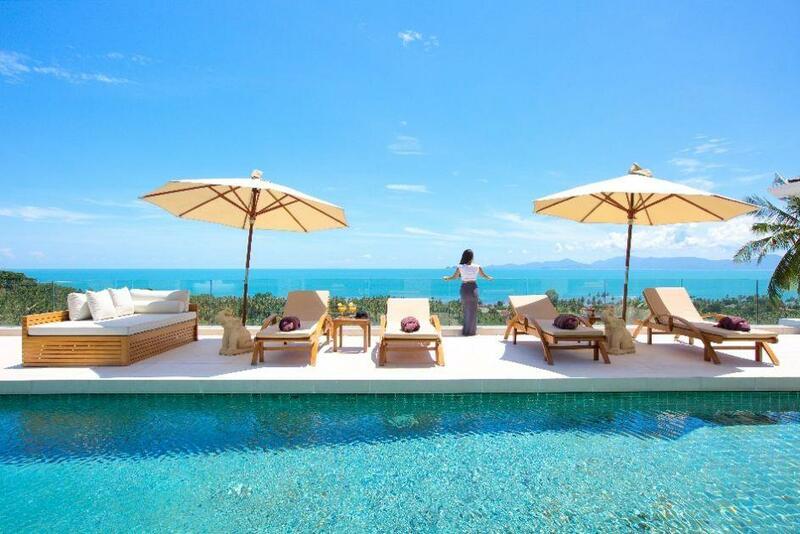 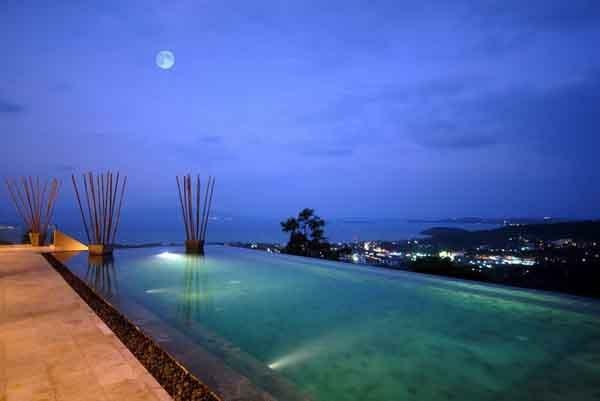 This expansive villa combines tropical elegance with luxury design to deliver a sophisticated Samui sanctuary.